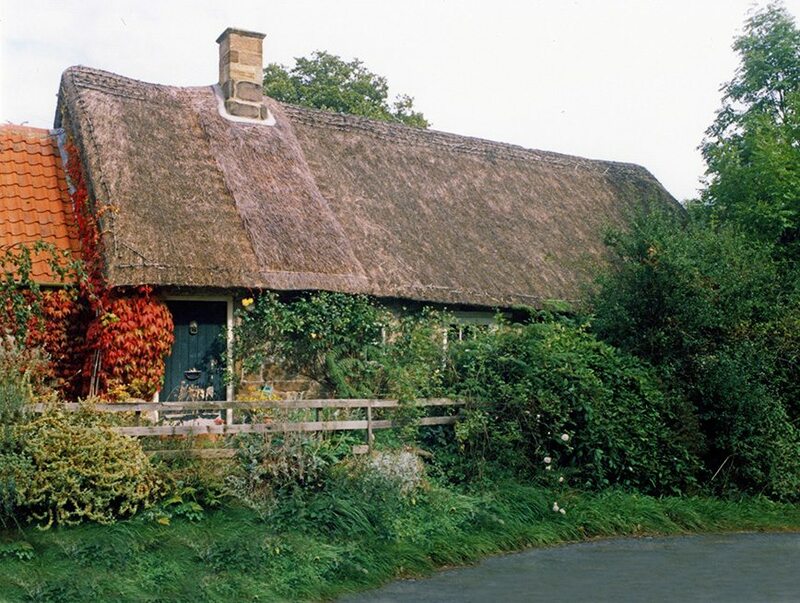 These two areas share a common thatching tradition with the old West Riding; all parts following the Northern style of working. 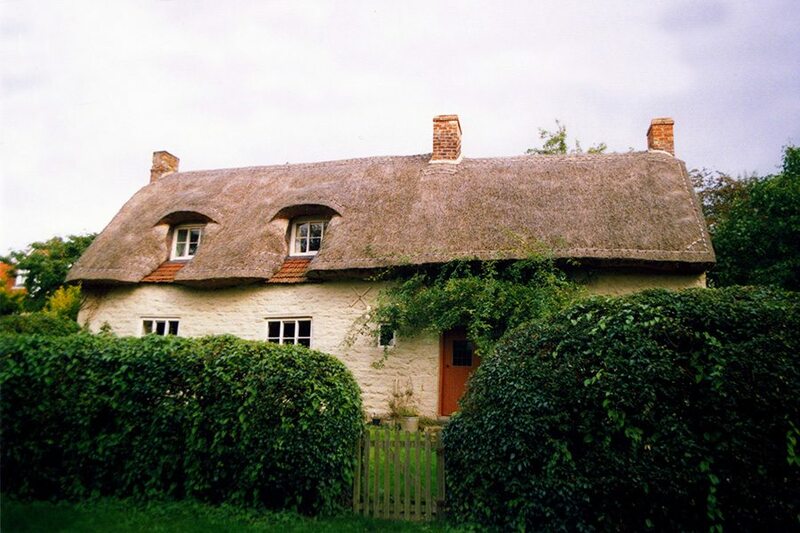 But hereabouts the historic local thatching methods, are more closely adhered to. 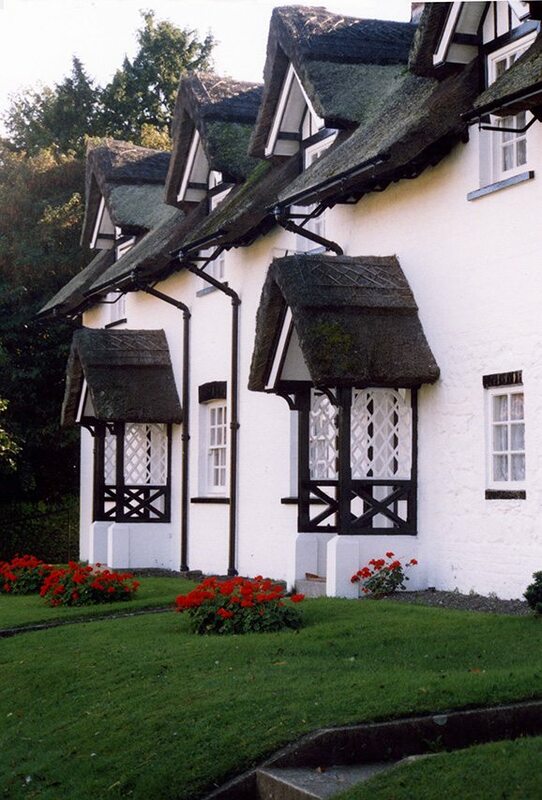 With thick multilayered, angular roofs in long straw, still being completed…. 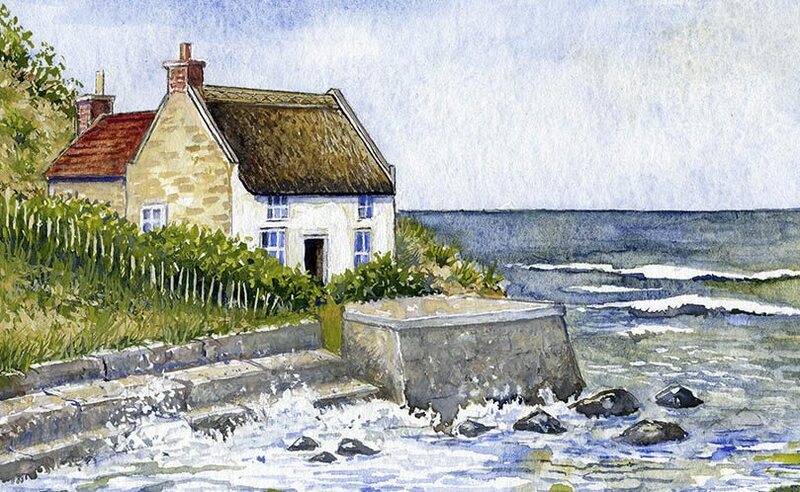 Sea side thatch… A well known thatch, at Runswick Bay, north of Whitby. 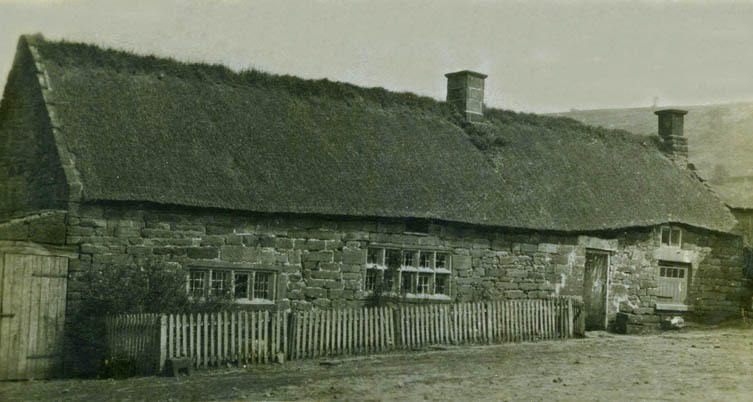 Turf was commonly used as a base; here it was laid in strips a yard (one metre) long. It also ridged a good many roofs. The stobbing method, was also used well into the last century. The tool for this, being known locally as a Swallowtail. 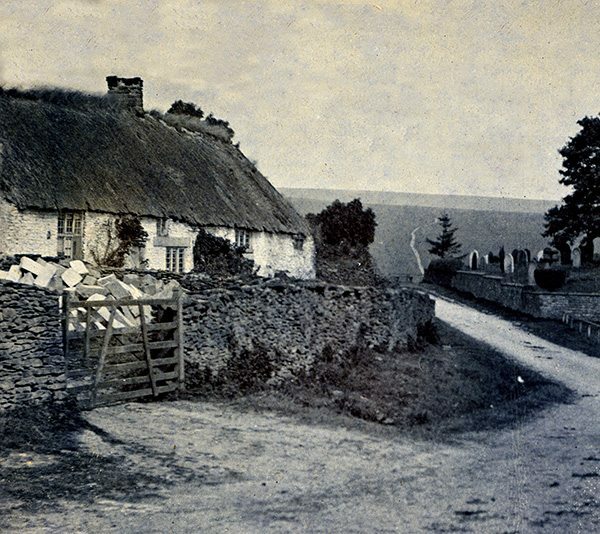 Some thatchers using no other method of thatching. 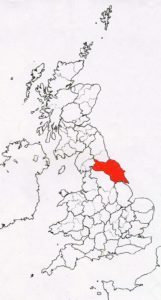 In moorland areas, heather was an important resource. 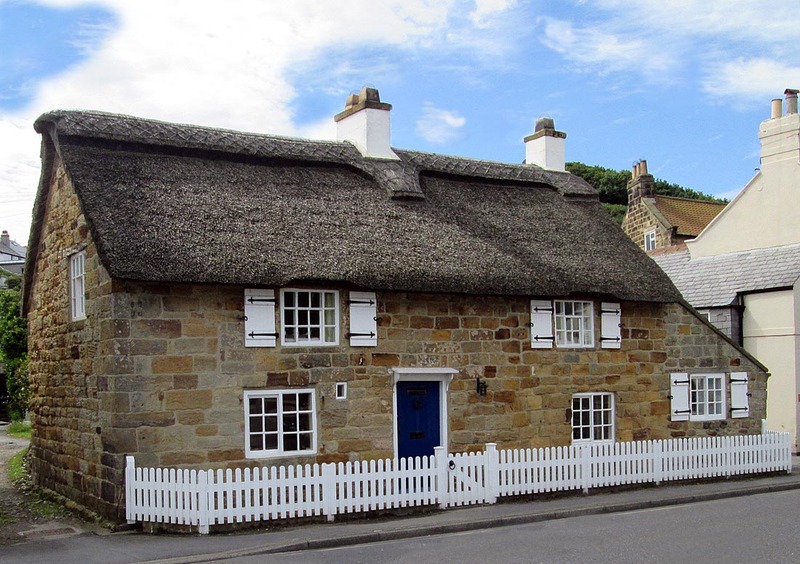 More Sea side thatch… Above, at Runswick Bay and further up the coast, at Marske by the Sea. 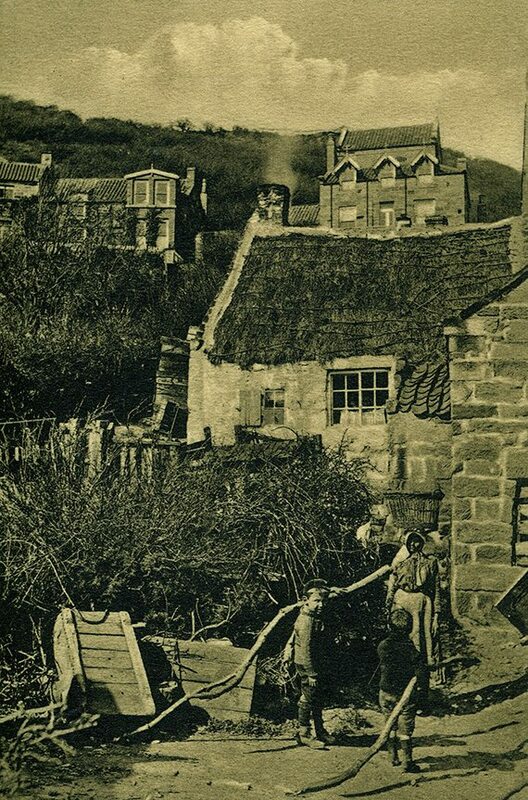 These Edwardian images show a worn roof, under a mortar ridge at Runswick. 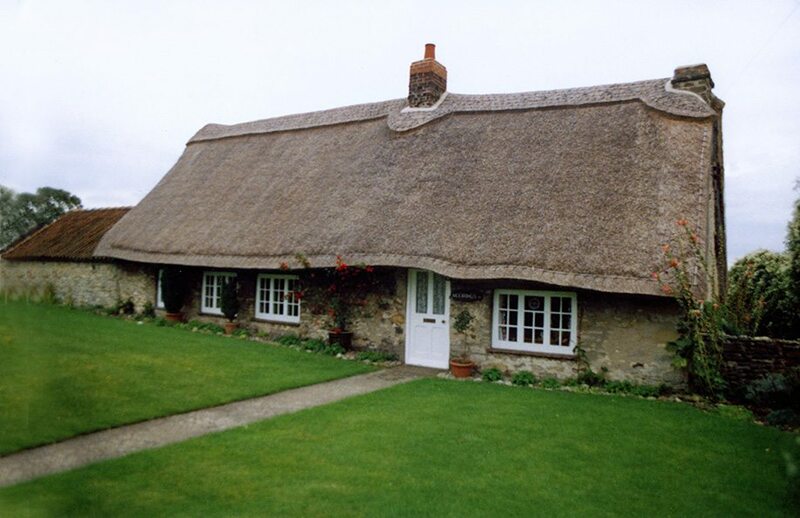 And a directional thatch, fixed with sparred twine at Marske. 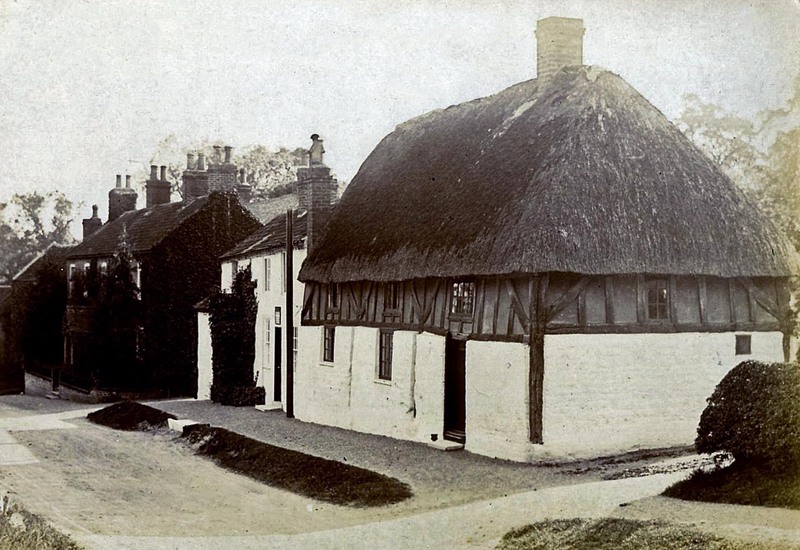 This being similar to rick thatching… Below is a water reed roof at Sandsend, which replaced a pantiled roof; which in turn had probably replaced the original thatch, on this early sevennteenth century building. 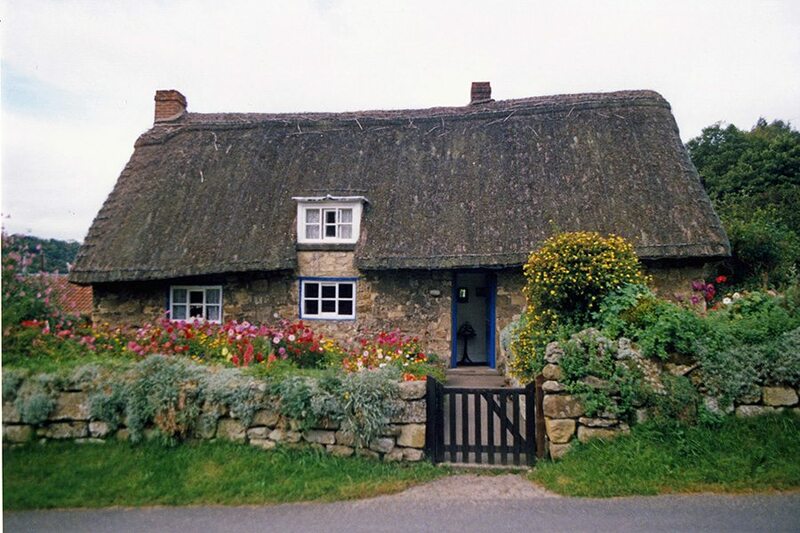 Long straw thatch… Following the local style. Above at Rievaulx, using rye straw. And below at Harome, using wheat. 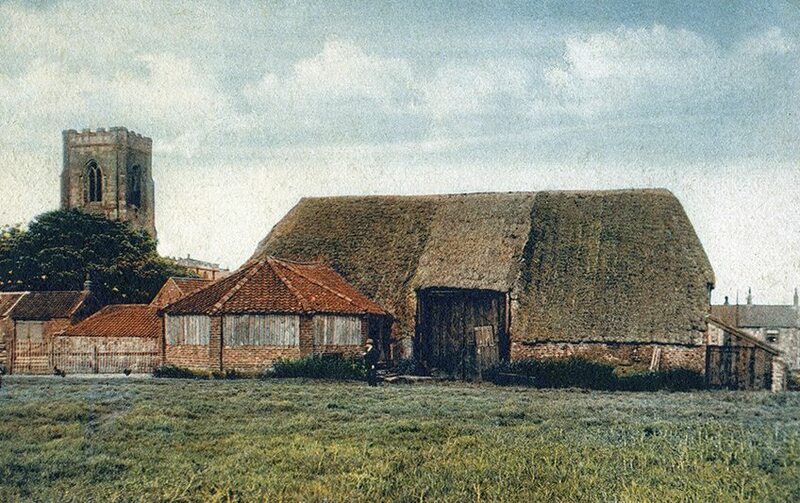 Still going strong… The Star Inn at Harome, which started life as a fourteenth century longhouse. 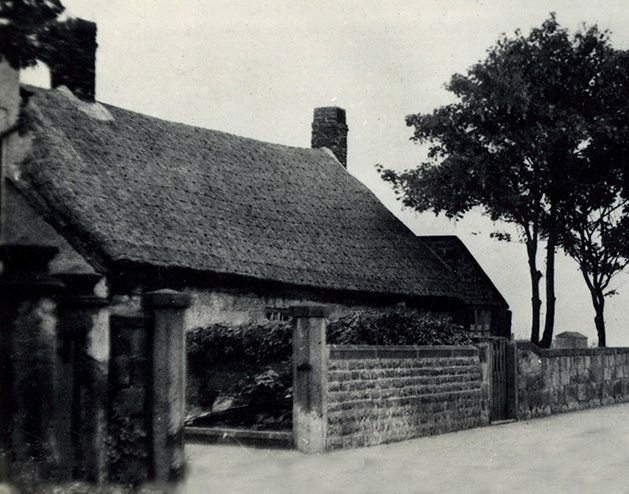 The sign here shows that one James Bowes held the licence, around 1905. 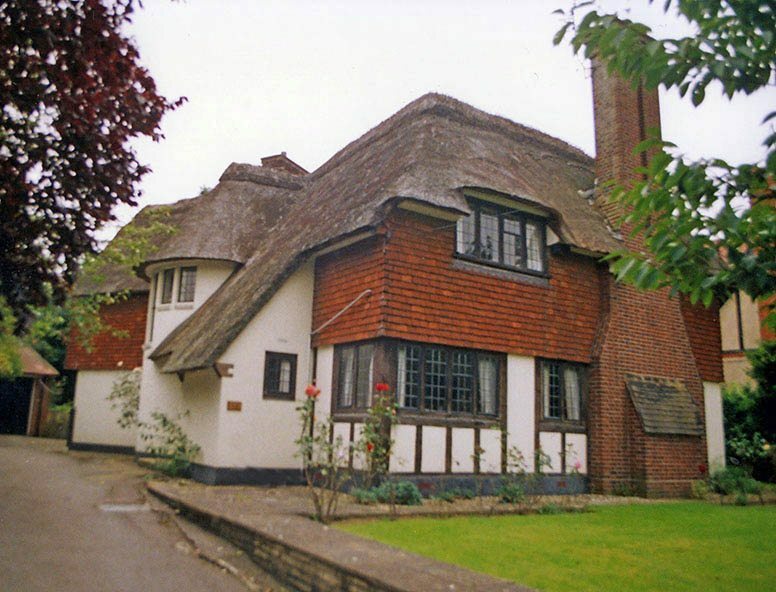 The stobbed roof gable end, is held down by a pegged timber. A local detail, still found hereabouts. 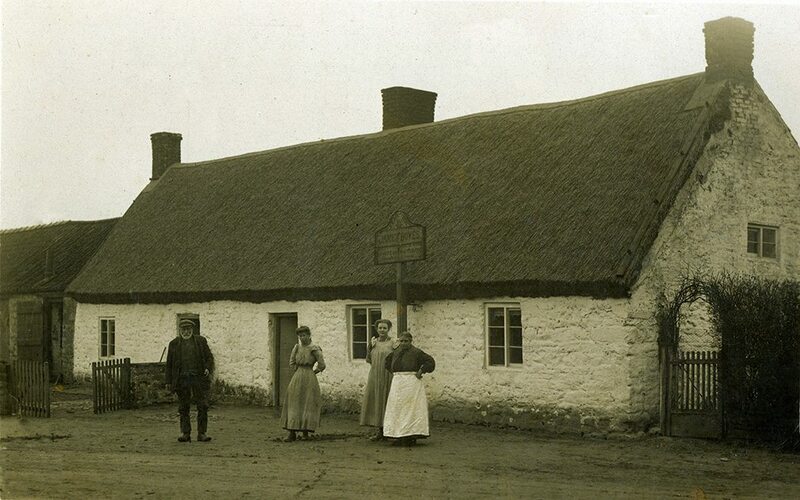 As is the pub; still thatched and well frequented. 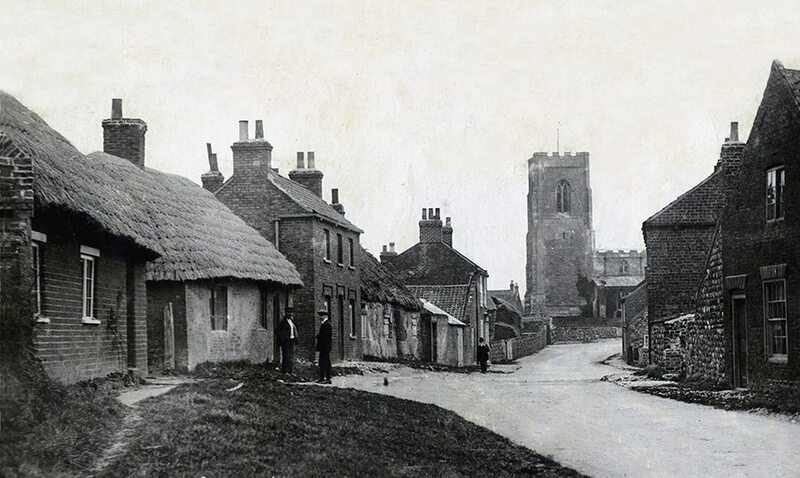 East Riding thatch… Of which there is now very little. 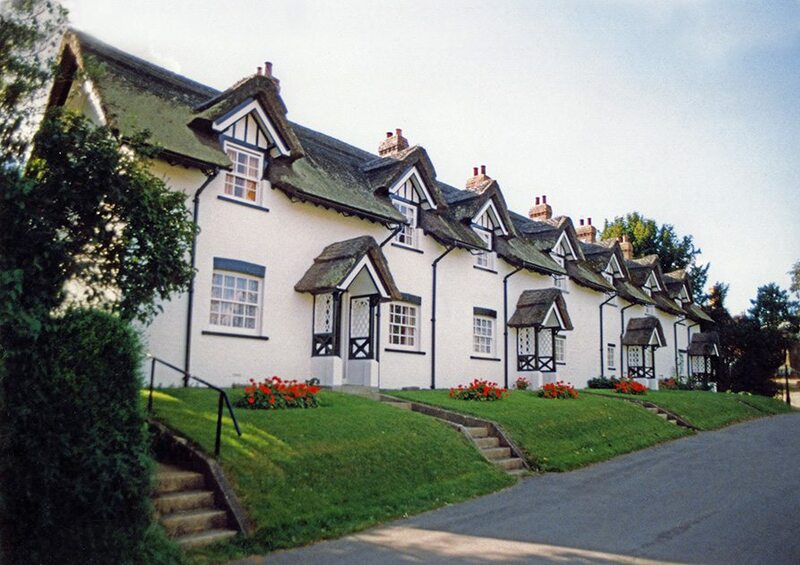 This long row, of Victorian estate cottages, above, at Warter; being a rare example.